So it is already a week before Thanksgiving. I am in the process of my tasks that I mentioned in my countdown post. Today I want to share with you an easy cookie tutorial for Thanksgiving Turkey Cookies. These are made with pre-made sugar cookie dough to save time, but no one has to know. 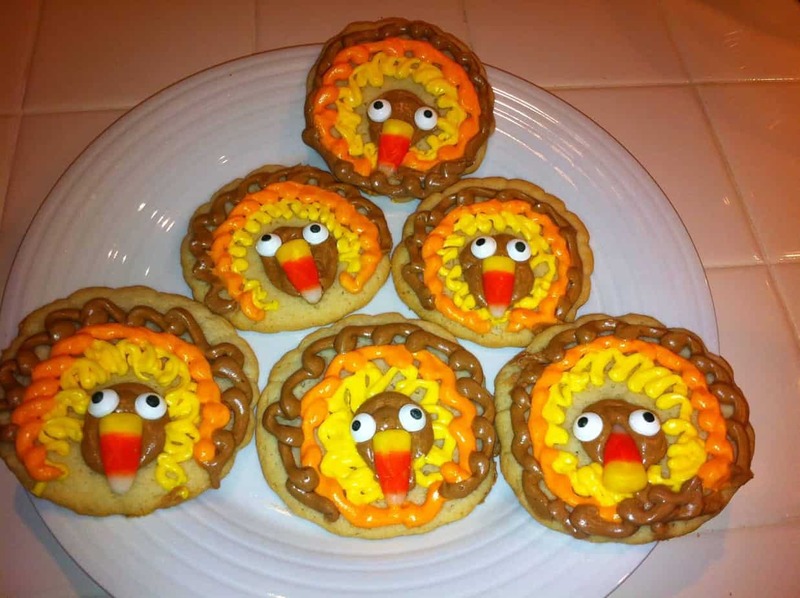 Of course you can make these with a from scratch sugar cookie recipe as well. But this time of year, I am always looking for time-saving shortcuts. I also used these cute little eyeballs and some candy corn (which is on clearance right now). 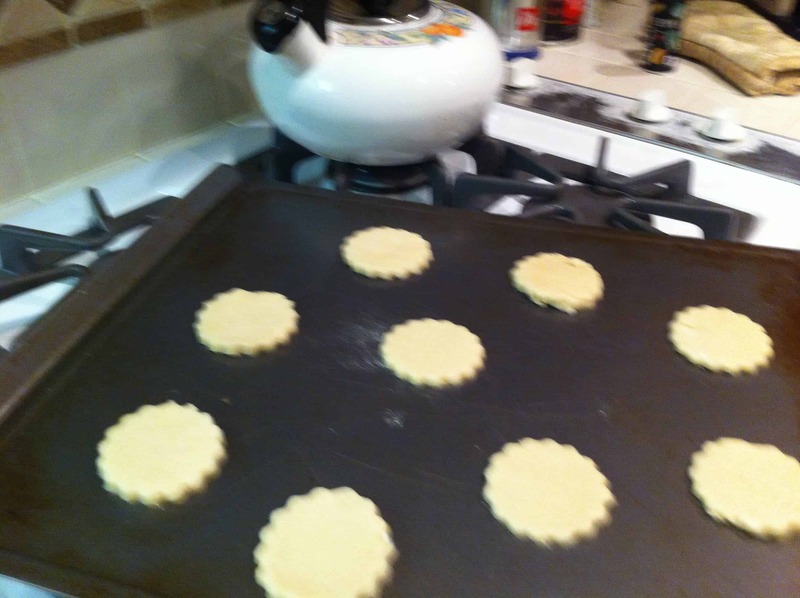 I rolled the dough out and used a scalloped round cookie cutter to form the cookies. I baked the cookies as directed. Once cooled I used tinted buttercream frosting to make swirly circles on the cookies. 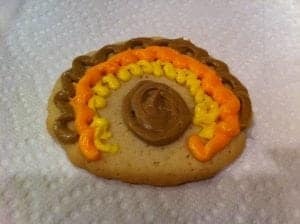 After completing the larger circles I made a round circle in the middle of the cookie. Then I added a candy corn for the nose and these cute little eyeballs. And there you have it! 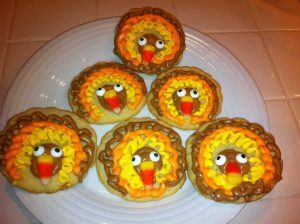 These would be cute as little parting favors or dessert at Thanksgiving. I think these will be cute on the dessert table. What dessert do you like to eat at Thanksgiving? These cookies are so cute! Thank you for sharing on the Foodie Friends Friday Linky Party! 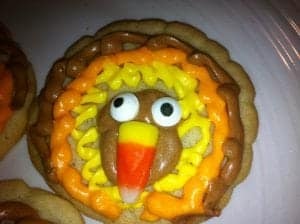 Love your Turkey Cookies. Saw them on Chic on a Shoestring Flaunt It Friday. I am link #114. Thanks for stopping by! I will be by to visit. These are super cute and look pretty easy to make. Would be a fun kitchen activity to do with the little ones. Stopping by via the Follow Who Hop- It’s nice to meet you! I am following you in the following locations, twitter, pinterest, google+ and liked your facebook page. I would like to invite you to visit my blog – http://www.scatteredmusings.net, as well as my Facebook page – http://www.facebook.com/SMOACM. I’d also love to connect with you on Pinterest and Google+ follow back if you’d like. Wow, you are really skillful and they look amazing and delicious! So cute! I’d love you to come link up at my Pin Me party. These are absolutely awesome! Love it! Have a great weekend! I love pumpkin pie…it’s the only time of year that I get to eat it! What adorable cookies, Raquel! I love that they can be made quickly, and your decorations are so fun! 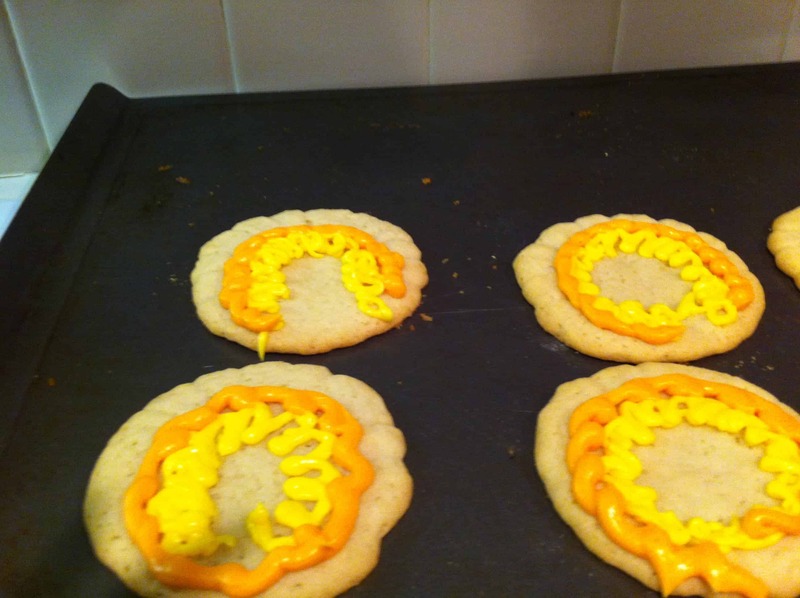 (One more great use for candy corn!) Thanks for joining the party at One Creative Weekend! I hope you have a great weekend. Thank you for your sweet comment Heidi! You have a wonderful weekend too! Those are so cute! I’ve been noticing various turkey cookies about and am trying to decide if I want to try my hand at some…. They were nice and easy! Thanks for stopping by the island. How cute are these! You are right about making cookies. Normally we make the kids suffer through the pumpkin pie, but I think I’ll try your idea for them this time around. They are a fun treat. Thank you for your comment! Those are so cute!! I would almost feel sad to eat them. LOL! I know what you mean 🙂 Thanks for stopping by! These are adorable! Thanks for sharing!!! These are adorable! Thanks for sharing on Foodie Friends Friday. Please come back and vote on Sunday! How creative! This are absolutely adorable! Would you mind if I pinned this? Thank you for linking up at the Harvest of Friends Weekend Blog Hop! Thank you Kelly! I would love you to pin these! Have a great day! Cute! Thanks for linking up to Foodie Friends Friday! My pleasure – thanks Robyn! Those are so cute! 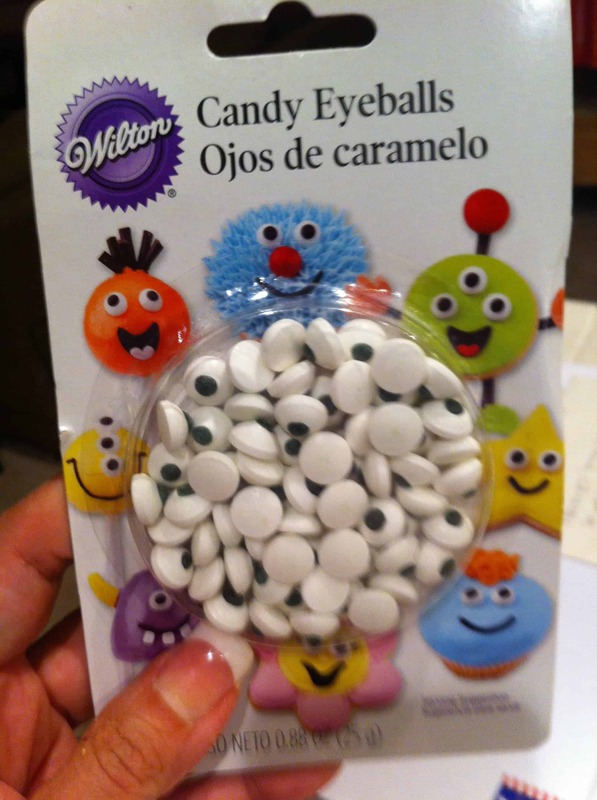 I never knew they had candy eyes! 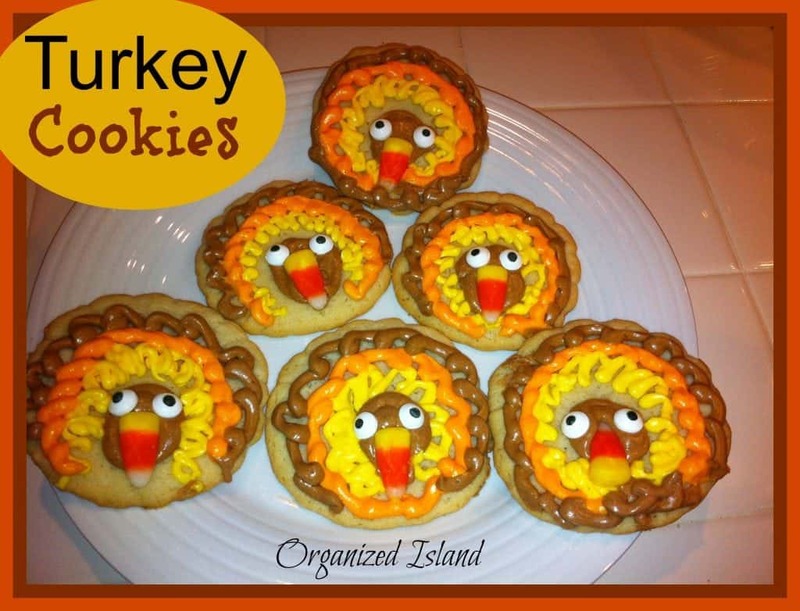 These are so adorable and perfect for making with the kids for the holiday! Oh those are too cute! I love the little eyes! Thanks for sharing at The Fun In Functional! These cookies are so cute! Have a Happy Thanksgiving! Thank you Leslie! Happy Thanksgiving to you too!